Make sure your iPhone is running on the most recent iOS version. Also, make sure that wifi and bluetooth is turned on. The Apple logo will appear. You will be asked to choose a language. Step 1. Tap and choose your language. Step 2. Tap the "Start Pairing" button. Step 3. 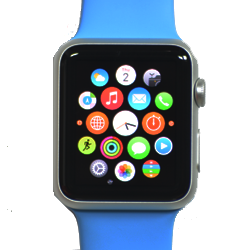 Tap "Apple Watch". Hold your iPhone in front of your Apple Watch, aiming the camera at the animation.